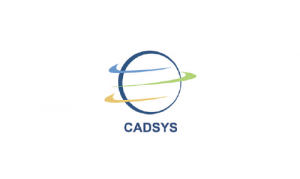 Business description from prospectus - Incorporated in the year 1992, CADSys India is a domain-focused GIS and engineering business technology service provider headquartered in Hyderabad, Telangana, India, with presence in the United States. It is primarily engaged in providing IT enabled services for geospatial, field engineering survey, software development and engineering design services in the domains like, telecom, CATV, oil & gas, electricity and other utilities. It leverages a differentiated business model through investments in pre-fabricated software components and frameworks to build enduring value for our customers. The company has expanded its service portfolio with strategic acquisitions to emerge as a well-balanced player in the IT services segment. The company provides GIS and mapping services in USA and India. It has more than 20 years of expertise and has mapped thousands of square miles of the earth’s surface. During the last 20 years, it has successfully implemented complex enterprise GIS solutions for a wide variety of public and private sector clients. CADSys India IPO allotment status is now available on Bigshare Services' website. Click on this link to get allotment status. Who are its listed competitors ?